Democratic presidential candidate Pete Buttigieg in New York. When Pete Buttigieg gathers supporters this weekend in Indiana, the ascending 2020 contender will count among them a name very familiar to Massachusetts voters. Steve Grossman, the former Democratic National Committee chairman and state treasurer, is endorsing the 37-year-old South Bend mayor for president, giving Buttigieg a well-connected ally in the donor-rich state. Grossman said he will attend what’s widely expected to be Buttigieg’s formal campaign launch Sunday. The two-time gubernatorial candidate was a supporter and organizer for Hillary Clinton during her 2016 campaign, and has offered to begin raising money for Buttigieg’s campaign in Massachusetts, where fellow Democrat Elizabeth Warren is building her own 2020 operation. 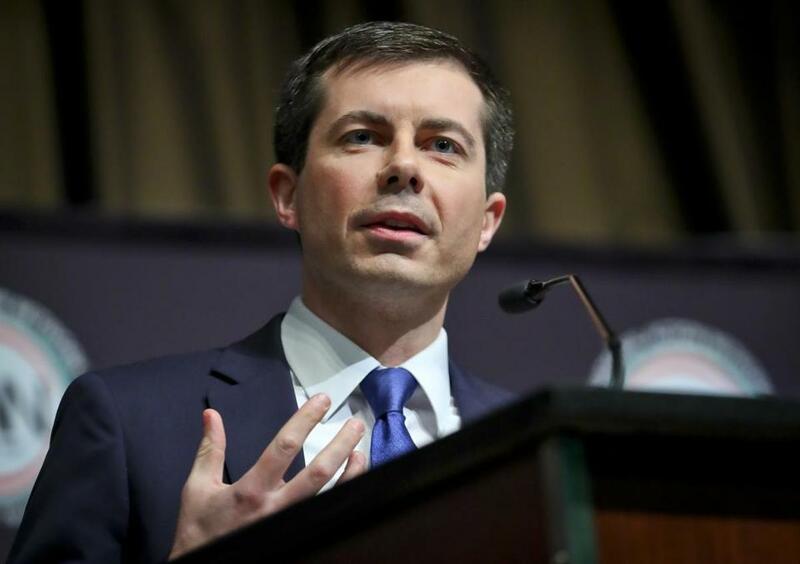 Buttigieg, a gay Afghanistan war veteran, has surged into the Democratic primary picture recently. He drew more than 1,000 people to a Northeastern University event last week and on Wednesday leapt to third place, ahead of Warren, in a poll of New Hampshire voters . Little known to the wider public a few months ago, there are now few days Buttigieg’s not getting the national political treatment, including this week with headlines dissecting everything from his relationship with Vice President Mike Pence, the former Indiana governor, to the role of religion in his upstart campaign. For Grossman, his fondness for Buttigieg traces back two years. At the time, Buttigieg was trying to build support for a run for DNC chair. State Senator Eric Lesser — a longtime friend of Buttigieg and former Harvard classmate — asked Grossman to meet and consider backing the mayor, given Grossman’s own experience running the committee in the late 1990s. Grossman said he was immediately impressed. “I said, ‘This is a guy who can help revolutionize a party that is in desperate need of being revolutionized,’ ” he said. Buttigieg ultimately bowed out of the race. But Grossman said the two reconnected last year over dinner at Harvard, where Lesser — a part-time teacher — had invited Buttigieg to address a class. And they’ve kept talking since. “As I see the maturity he has shown as he’s become a more prominent figure on the national stage, it validated all the instincts I had when I supported him for chair of the DNC,” said Grossman, currently the CEO of the Initiative for a Competitive Inner City, a nonprofit that provides classes and coaching for inner-city entrepreneurs. In a statement to the Globe, Buttigieg said he’s happy to bring Grossman and his “wealth of knowledge” into the fold. Buttigieg has not publicly declared he is running, but his campaign has set up a live-stream for Sunday’s “special announcement” in South Bend and is advertising viewing parties in California, Connecticut, and elsewhere.